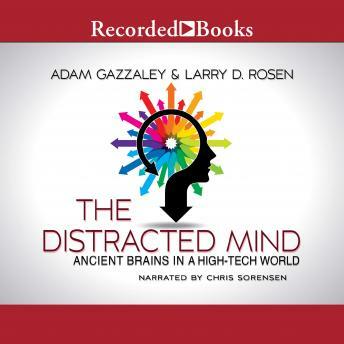 In The Distracted Mind leading psychologist Larry Rosen, and pioneering neuroscientist Adam Gazzaley, explain why our minds have become addicted to email, text messages, virtual worlds and social media such as Facebook and Twitter. Through compelling true stories and scientific research, they show how digital distractions affect every aspect of life - from work, safety and communication to our relationships and health. The way our brains work mean we're all too easily hijacked by 'weapons of mass distraction', but there are countermeasures we can take. Rosen and Gazzaley offer proven strategies for regaining and retaining control over where we choose to focus our attention, making The Distracted Mind essential reading for anyone who wants to make best use of their brain today.